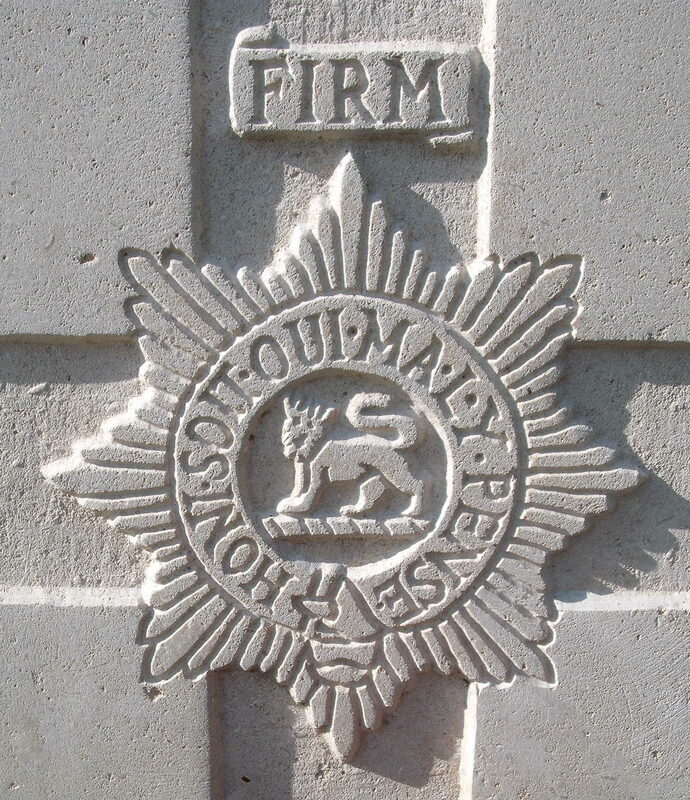 4th Bn, The Worcestershire Regiment, 88th Brigade, 29th Division, B.E.F. Pte Harry Wood, born in Worcester joined the Worcestershire Regiment at Worcester. He was the only son of Mrs Wood a widow of 3 Pretoria Villas, Merrick Road, Malvern Link. His service number indicates that he served with the 1/7th or 2/7th Worcesters. He died of wounds whilst serving with the 4th Battalion on the 13th April 1918. Before joining the Colours two years ago he was employed at The Lodge, Malvern, the residence of Mr H Mitchell, as a gardener.